The Honda Civic has been long-time favorite for New Jersey drivers, remaining a best-seller for Mahwah families, students, and Paramus drivers on the go. Choosing a used or certified pre-owned Civic is a budget-friendly way to take home an affordable new car that will last for years. Browse our used and certified pre-owned Civic inventory below to see the wide variety of Honda sedans our dealership offers. All of our used inventory has been carefully inspected by our factory-certified technicians. To see a used Honda Civic in person, contact our dealership in Mahwah to schedule a test drive or to learn about or leasing and financing offers. 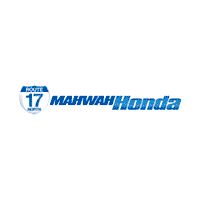 Choosing a used Honda Civic from Mahwah Honda also means having instant access to Honda safety features, such as Honda Sensing™, a suite of technology that provides added peace of mind while on the go in Mahwah. Compare the Honda Civic Coupe vs. Sedan vs. Hatchback to learn more about the body style differences and choose your favorite! Pompton Plains and Ramsey drivers looking for the best sedans benefit from choosing a used Honda Civic, and Mahwah Honda provides lease deals that make this model even more affordable and accessible. Visit Mahwah Honda today and see how a used Honda Civic will change your Paramus driving experience.